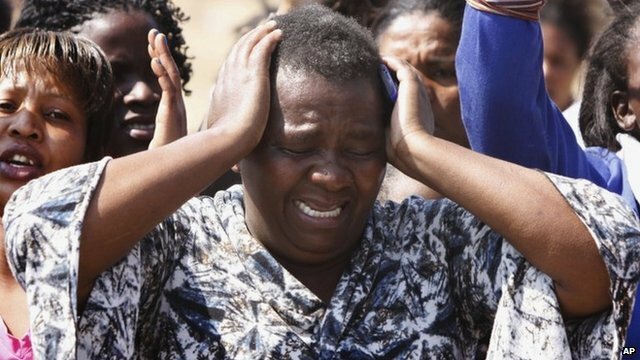 S Africa inquiry details revealed Jump to media player Services have been held across South Africa to remember the 44 people killed in violence during a strike at the north-western Marikana platinum mine. 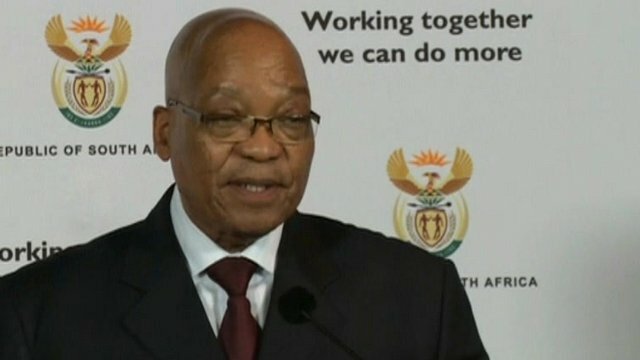 Jacob Zuma outlines mine inquiry Jump to media player South African President Jacob Zuma has outlined the terms for an inquiry into the shooting dead of 34 miners by police at a protest over pay last week. 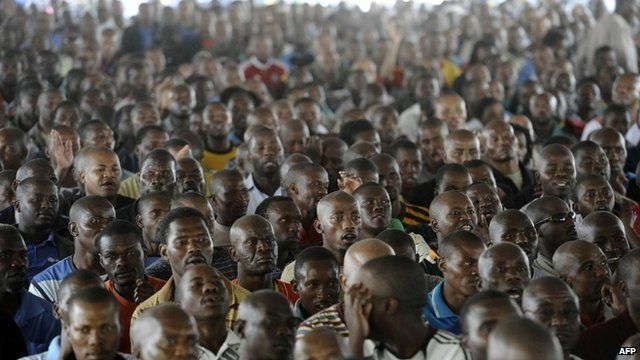 Anger over S Africa miners' fate Jump to media player Angry relatives of missing mine workers in South Africa complain the authorities have failed to produce a central register of the 34 people shot dead on Thursday. Services have been held across South Africa to remember the 44 people killed in violence during a strike at the north-western Marikana platinum mine. On Thursday President Jacob Zuma announced an inquiry into what happened at the mine, to investigate the roles played by the mine's owners, the police and the mining unions. Navdip Dhariwal reports from Marikana.